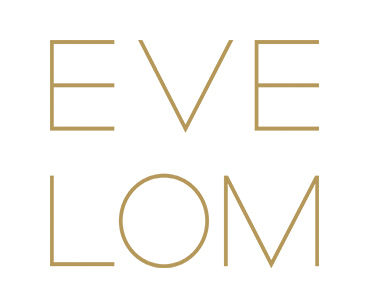 Welcome to www.evelom.com (the "Site"), a website operated in the United Kingdom by SPACE BRANDS LIMITED, a company incorporated in England and Wales with company registration number 07932315, VAT number 131022286 and whose registered office is located at 5th Floor, Shropshire House, 11-20 Capper Street, London, WC1E 6JA, United Kingdom ("Space Brands", "we", "us" or "our"). For the purposes of applicable laws, the data controller is Space Brands Limited, a company incorporated in England and Wales with company registration number 07932315, VAT number 131022286 and whose registered office is located at 5th Floor, Shropshire House, 11-20 Capper Street, London, WC1E 6JA, United Kingdom. 1.1 Information you give to us. You may give us information about you by filling in forms on our Site or by corresponding with us by telephone, e-mail, post or otherwise. This includes information you provide when you register to use our Site (which you must do if you would like to use some of the services and features we offer), subscribe to our services or place an order on our Site. This information may include your name, address, telephone number, e-mail address and debit or credit card information (if you wish to place an order on our Site). When you register with us you can view your personal information in 'My Account'. You can access 'My Account' directly to amend any personal details, for example if you change your address. If you forget your password, simply click on the 'forgotten password' link on the register or login page and an e-mail containing your decrypted password will be sent to the e-mail address that you originally provided. information about your visit including the full Uniform Resource Locators (URL) clickstream to, through and from our Site (including date and time), products you viewed or searched for, page response times, download errors, length of visits to certain pages, page interaction information (such as scrolling, clicks, and mouse-overs), methods used to browse away from the page, and any telephone number used to call our customer service number. 1.3 Information we receive from other sources. We may receive information about you if you use any of the other websites we (or any member or brand within our group) operate or other services we provide. In this case we will have informed you when we collected that data that it may be shared internally and combined with data collected on this Site. We are also working closely with third parties (including, for example sub-contractors in technical, payment and delivery services, advertising networks, marketing services, analytics providers, search information providers, and credit reference agencies) and may receive information about you from them. (b) Providing customer service in pursuit of our legitimate interest as a retailer: We ask for your contact details such as your e-mail address and telephone number and order details to enable us to answer any questions you have about using our Site;to notify you about the status of your order, and other customer care services such as identifying your requirements and shopping preferences. To provide those customer care services we may use your data for statistical and market analysis; studies, research and development by us, or a third party we appoint as a data processor but in doing so your personal data will be anonymised for the use of it by these parties. They will not receive your name, address , email address or telephone number. Opt-out of Direct Marketing : You can at any time tell us not to send you marketing communications (i) by e-mail by clicking on the unsubscribe link within the marketing e-mails you receive from us; or(ii) by SMS by following the "STOP" instructions provided with the message or (iii) by postal mail by following the instructions that may be included in a particular promotion.. If you have registered with us, you may also opt out of receiving postal mail from us by logging into your account and amending your preferences. (a) Administration of our Site: To administer our Site and for internal operations including troubleshooting, data analysis, testing, research, statistical and survey purposes. We may collect information from visitors to our site and analyse it to build up a picture of how people use our website. This helps us to improve the service we offer you. (c) Providing customer service in pursuit of our legitimate interest as a retailer: The information we collect from you will (i) allow you to participate in interactive features of our service when you choose to do so; (ii) allow us to measure or understand the effectiveness of advertising we serve to you and others; and (iii) allow us to make suggestions and recommendations to you and other users of our Site about goods or services that may be of interest to you or them if you have agreed to be contacted by us for these purposes. 3.3 Information we receive from other sources. We may combine the information we collect from you and the information you provide to us with information we receive from other sources. We may use this combined information for the purposes set out above (depending on the types of information we receive). 4.1 We may share your personal information with any member or brand within our Group. Please visit www.manzanitacapital.com for more information about which members and brands constitute our Group. They may use the information in accordance with their privacy policies for purposes such as: financial reporting and analysis; strategic planning; the development of customer segmentation and metrics to provide a consistent view of our customer base; the creation of inspiring content and editorial features, and the development and sale of new products and collaborations to enhance your experience as a customer of Space Brands or other brands in the Group. (a) Suppliers and sub-contractors for the performance of any contract we enter into with them or you (e.g. in order to process your order and maintain your account, including the authorisation and validation of credit or debit card transactions, the provision of delivery services, the analysis of data.). These companies or individuals may be provided with access to your personal details in order to fulfil their function but may not use such information for any other purpose. (b) Advertisers and advertising networks we appoint to assist us and who require the data to select and serve relevant adverts to you on our behalf. 4.3 We do not provide your personal details to other companies or individuals for their marketing purposes unless you have indicated when you registered that you wish to receive information about other companies' products, offers and services. (b) If Space Brands (its holding company, or the holding company of its holding company, and its subsidiaries, as defined in section 1159 of the UK Companies Act 2006) or substantially all of its assets are acquired by a third party, in which case personal data held by it about its customers will be one of the transferred assets. Applicable laws on data protection in the UK give you the right to access information held about you in accordance with applicable laws. We will respond to your access request within one month, in accordance with applicable laws. Subject to applicable laws, you also have the right to update and correct inaccuracies in your personal data, and have the information blocked or deleted, as appropriate. You may request to change your personal information by sending a written request by e-mail through the “Contact Us” page on our website at www.evelom.com. Requests for the deletion or removal of your personal data, including information published or processed online, should be sent by email to through the “Contact Us” page on our website at www.evelom.com. If you would like access to any personal data which you have provided to us in a machine-readable format, or if you would like your data to be transferred directly to another data controller, please direct your request by email through the “Contact Us” page on our website at www.evelom.com.